Certified by Rainforest Alliance, UK, this Soil Association Certified Organic and Fairtrade black tea is grown and processed using time honoured production methods in Ceylon. It is a classic breakfast tea that is flavourful, rich and goes perfectly with milk and sugar. Pack of 20 sachet tea bags. 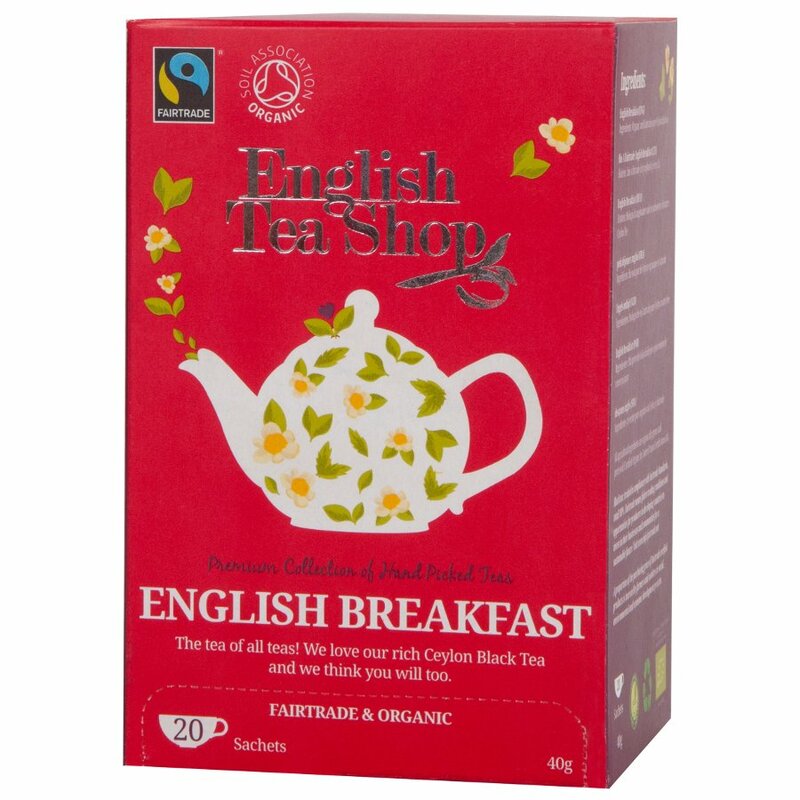 The English Tea Shop Organic and Fairtrade English Breakfast Tea - 20 Bags - Sachets product ethics are indicated below. To learn more about these product ethics and to see related products, follow the links below. Tried it for the first time and will re-order again it packs a super flavour. 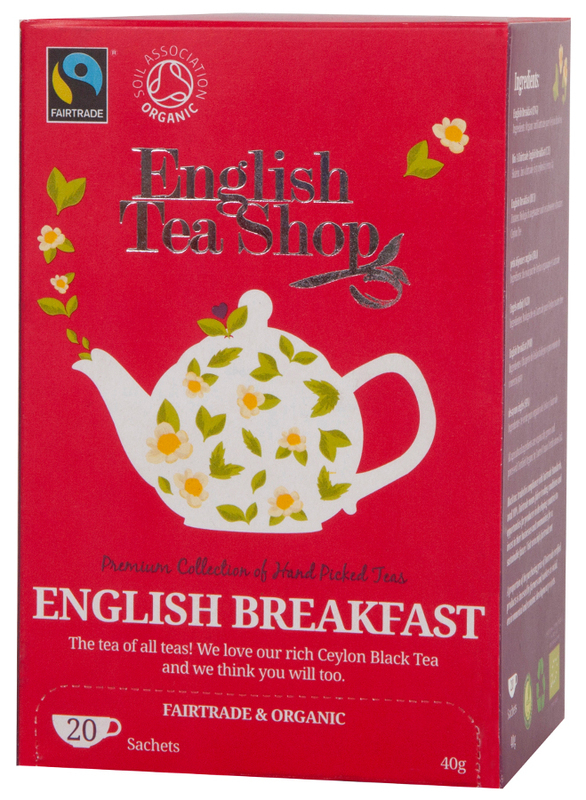 There are currently no questions to display about English Tea Shop Organic and Fairtrade English Breakfast Tea - 20 Bags - Sachets.